Alba 5 Shelf Single Sided Mobile Literature Display Stand 3xA4 DD5GM – ALB00930 – OfficeYoo! 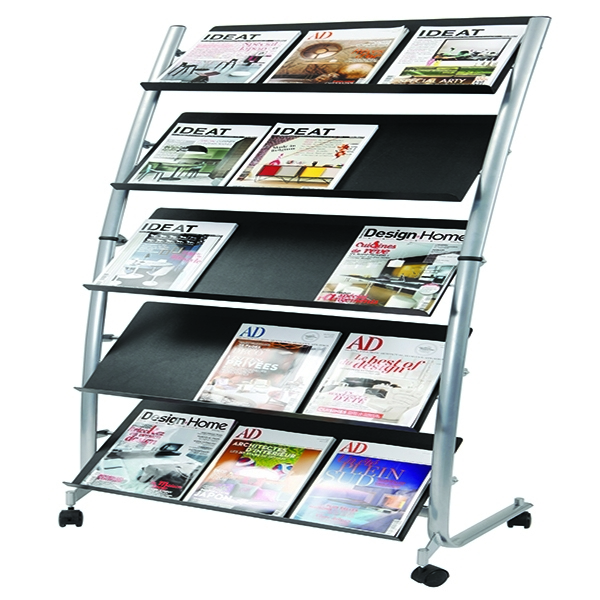 This convenient mobile literature display stand features 5 shelves, each with space for 3 x A4 brochures, magazines or leaflets. The stand is mobile on four castors for easy transportation and features an attractive curved design. Each shelf can hold up to 350 sheets; ideal for reception areas, exhibitions, trade shows and more. This display stand measures W820 x D510 x H1660mm.